I think these collections are both very innovative and NEW. Both are kind of Sci-Fi Futuristic. I just love the colour palettes and the workmanship that you can clearly see has been put into each and every stitch. Especially in Dion Lee’s Collection. The blues are divine, very fresh, even when teamed with black. The black and leather are stunning. Alexander’s T collection is very simple and clean but at the same time sharp and very edgy. 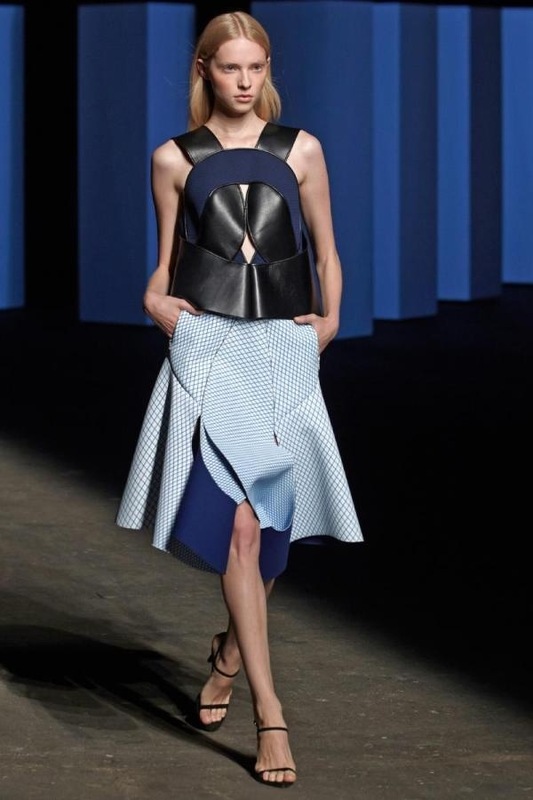 These are some of my favourites from each collection, Dion Lee’s first. Some pieces I could never wear but others I would mix and match with existing pieces in my wardrobe and wear them over and over again. To see more looks, do a Google search on the Designers names. Next Next post: Stop. What?? “Pop Tops” ROCK!